That statement catches many Christians (that is, followers of Jesus) off guard. 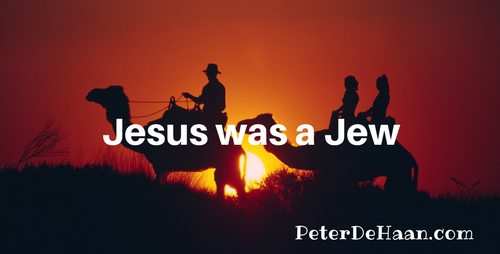 It is easy to label Jesus, since he is the impetus for Christianity, as a Christian, even though his time spent on earth was as a Jew. As such, there is much that his followers owe to and can learn from Jewish traditions and beliefs. This is one important reason to study the Old Testament and to embrace our common ground with our Jewish bothers and sisters.